Piss Panel is a comedy show about the most glorious, underrated thing on Earth: peeing. 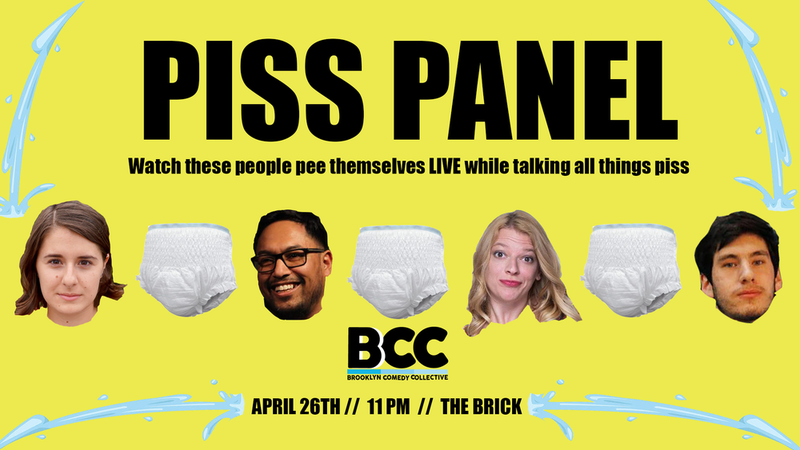 A panel of comedians and lifelong pissers will sit on stage and pee in adult diapers, describing the experience live. Led by urine enthusiast Rachel Clayton, they’ll talk all things piss that you won't wanna miss!"